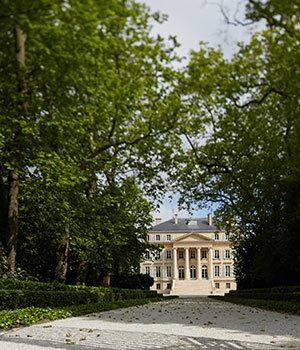 One of the most famous names in the world of wine, the quality of Chateau Margaux has been well documented since the 18th century, with British Prime Minister Sir Robert Walpole and US Ambassador Thomas Jefferson among its followers. Despite an amazing effort in 1953, the wines of Ch Margaux struggled for several decades during the 20th century to achieve the same level of quality it had previously become famous for. It wasn't until the purchase of the estate in 1977 by the Mentzelopoulos family, and the appointment of Paul Pontallier as manager, that the fortunes of this great estate turned around. Andre Mentzelopoulos invested huge amounts of money into the estate and the results were almost immediate with a stellar wine produced in 1978. Despite Andre's untimely death, his daughter Corinne, along with Paul Pontallier, have taken the estate from strength to strength producing arguably the greatest wines in Bordeaux during the 1980s.